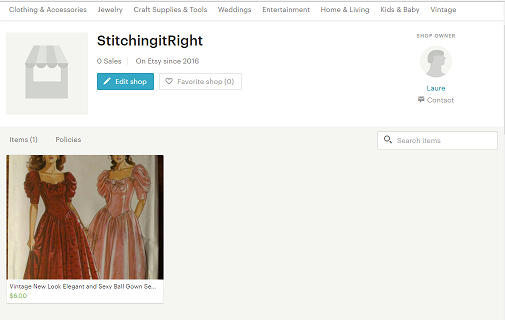 Visit the Stitching it Right Etsy Store! I'm in the early stages of setting up a Stitching it Right Etsy store where my friends and I will be selling our handcrafted creations. I named it after this site to make it easy to share updates about the store here. 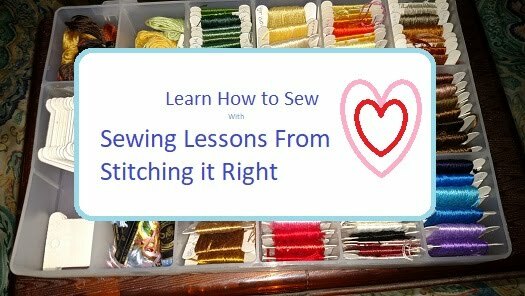 Just click the link to visit the Stitching it Right Etsy shop, and be sure to bookmark it because new items will be loaded tomorrow and, hopefully, each day. For tonight, it's set up and there's only one thing for sale in it, a new, uncut vintage sewing pattern for an ultra-feminine dress that would be awesome for a bridesmaid gown, a wedding dress, a prom dress or any elegant event.